"Building The Future, Growing Through Innovations"
Design & Construction Innovations is a full service General Contractor headquartered in Tampa, Florida. specializing in commercial, residential and Government construction projects operating in the State of Florida. As seasoned professionals in project management, construction management, design-build, renovation and Green Construction, DCI has significant expertise and knowledge to assist and excel in every step of a project. We provide Commercial and Residential new construction, renovation, and design services throughout Tampa Bay, Orlando, Sarasota, Vero Beach, West Palm Beach, and all of the surrounding areas. Great architecture designs need solid foundations. Our Architectural designers and licensed contractor will collaborate with you to transfer your ideas, thoughts and needs into a cohesive design. From project planning to risk management, our team of dedicated professionals are fully equipped to handle all aspects of your project. 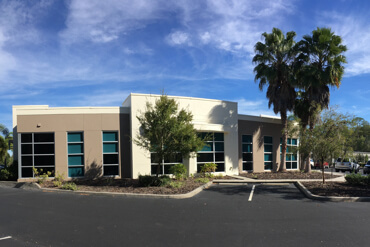 Design & Construction Innovations provides a full range of Resedential & Commercial Renovation and New Construction Design-Build services throughout the Tampa Bay area extending throughout the entire state of Florida. 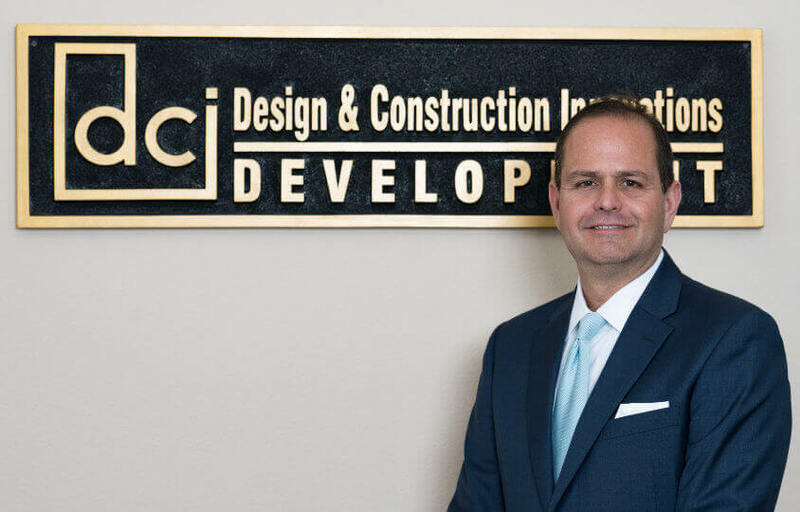 Design and Construction Innovations LLC (DCI) is a growing full service General Contractor headquartered in Tampa, Florida specialized in commercial, residential, and Government construction projects operating in the State of Florida. As seasoned professionals in project management, construction management, design-build, renovation and Green Construction, DCI has significant expertise and knowledge to assist to excel in every step of a project. Whether the project has a small or big magnitude, DCI recognizes that each project has its own challenges. Therefore, DCI Management assures that each and every project receives necessary amount of attention for accomplishment regardless of its scale. In every project, DCI Management Team oversees the processes from start through the completion by communicating with the client to ensure that our primary goal, the client satisfaction is reached. DCI has over 35 years of combined experience in Commercial and Residential Construction and Architectural Design. Our in house Design-Build team and our long term relationships with professional subcontractors and master craftsmen ensures that every one of our projects is a success. We continuously educate ourselves to keep current with the innovative trends in green building and sustainability as well as the changes in our industry. We are members of the The American Institute of Architects and the U.S. Green Building Counsel, Gulf Coast Chapter. 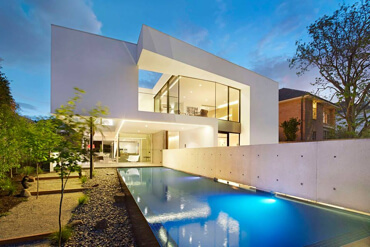 Our knowledge of current technologies and extensive hands on experience with construction and architectural design enables us to meet the unique needs of each of our clients. From detailed renovation to large-scale construction our clients can be assured of our commitment to quality and total project responsibility. DCI is committed to truly understanding our clients individual needs and to creating energy efficient spaces designed to specifically fulfill those needs. We recognize each of our clients is unique with individual visions, budgets and specifications. By providing personal attention to every detail we can help you turn your vision into a reality. We are extremely proud of the work we do and strive for complete client satisfaction. We pride ourselves in that a vast majority of our business is made up of referrals from existing clients. This is a direct result of our consistency with completing projects with the highest level of quality and craftsmanship on time and within budget. Roberto is a Class A General Contractor and is the 1st qualifier for Design & Construction Innovations (DCI). In addition to his 25 years of design and general construction experience in retail, commercial, recreational, and custom residential building, Roberto has a Master Degree in Business Administration (MBA) and a Bachelor’s Degree in Architecture. His management style and attention to detail, teamed with his extensive knowledge of the design and construction industry has contributed to his success of completing projects on time and within budget. Roberto has an extensive familiarity with safety, code, and OSHA regulatory compliance, and on-site management. He is a team builder that accomplishes integration and coordination with customers, architects, consultants, subcontractors, and government agencies. 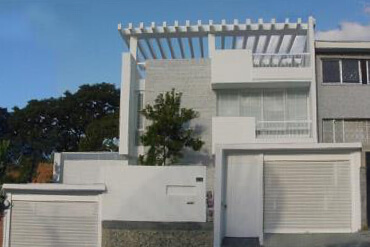 During architectural responsibilities, Roberto has optimized construction costs by the development and implementation of new techniques, procedures and practices resulting in improved efficiency and increasing revenue. His focus on details and solutions during the design process, keeping the construction process in mind, maximizes the building construction process from the design table. Roberto Saez is currently part (5 appointed members) of the Pasco County Planning and Zoning Commission. The Planning Commission holds public hearings and transmits to the Board of County Commissioners recommendations on zoning district amendments, conditional use applications, proposed Master Planned Unit District zoning amendments, and Operating Permit Applications. Roberto is part of the Board of Directors of the North Tampa Bay Chamber of Commerce, formerly the Greater Wesley Chapel Chamber of Commerce. The chamber of commerce serving businesses in New Tampa, Wesley Chapel, Land O’ Lakes, Trinity, Odessa, and northern Hillsborough County. Roberto worked as a consultant and senior project manager for Pasco County. He managed many time-sensitive and critical projects for the county under budget and within schedule. Roberto puts quality and stakeholder’s interest’s first. This is reflected in the positive relationships he has built with the leadership of Pasco County. Roberto is fluent in both Spanish and English and has supervised over-seas and state-side projects including custom homes, ocean front residences, professional centers, radiology clinics, surgery centers and airports. Roberto is an active member of the American Institute of Architects (AIA) and United States Green Building Counsel (USGBC). Roberto lives with his family in Wesley Chapel, Florida. Do you have any questions regarding your next construction project? DCI has developed IPM to combine various disciplines under one umbrella to accelerate decision making, to eliminate the risk of extra cost to DCI client, and to generate synergy among process units. DCI has adopted BIM and Revit software platform in order to provide real time snap shot to our clients. Technology enables us to provide our clients with significant time and cost savings, value added engineering, efficient construction, and reduction of risk factors. We recognize that safety is everybody’s responsibility and cannot be compromised. On DCI job sites, safety rules are strictly complied thru OSHA standards, DCI HSE Plan including tool-box meetings, on-site safety training, and safety award programs. DCI’s tendency has always been “Do the right thing”. DCI’s Quality Control Plan has been generated to ensure a commitment to quality is apparent to all employees, clients, design partners, and trade contractors. DCI always looks into smart solutions to reduce environmental impact of construction and sourcing as well as using energy and materials to protect ecosystems. DCI builds the future from today. DCI implements the essentials of LEED® practices, environmental changes, and low-maintenance measures to reduce the impact of the construction even after its completion.